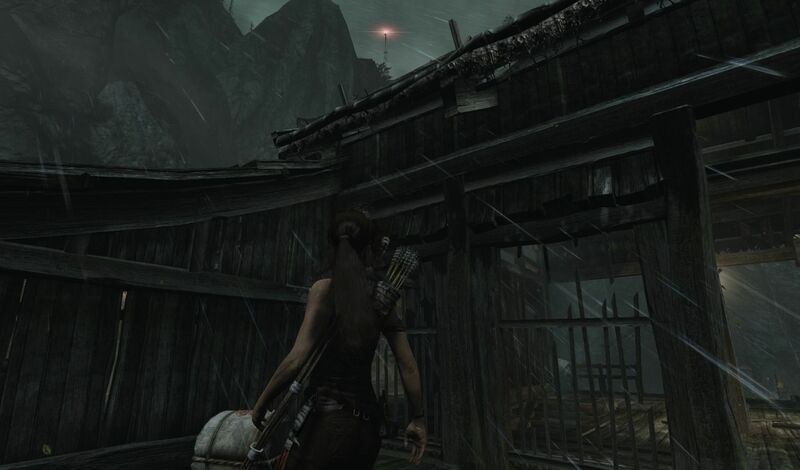 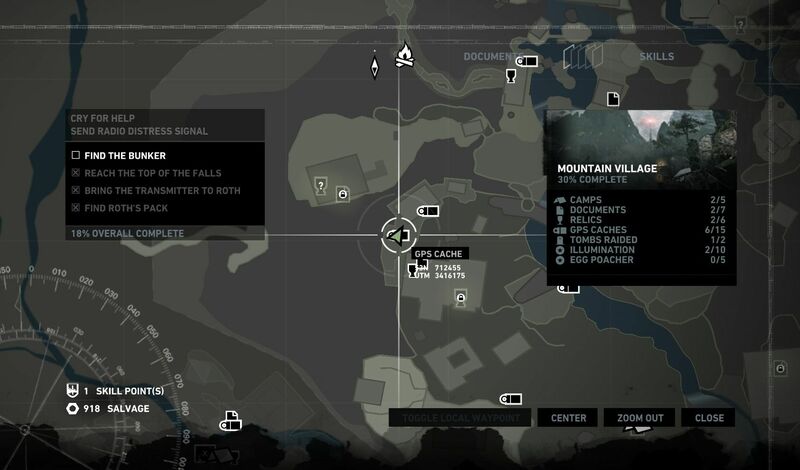 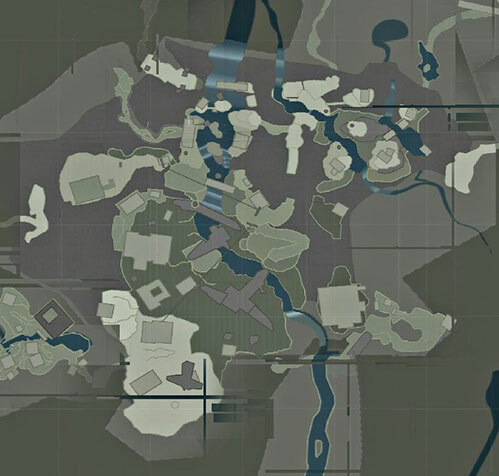 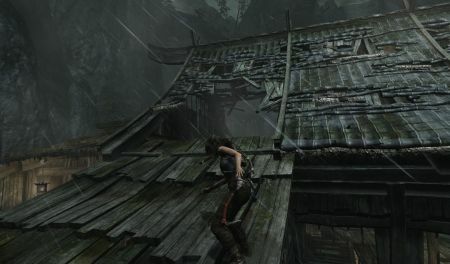 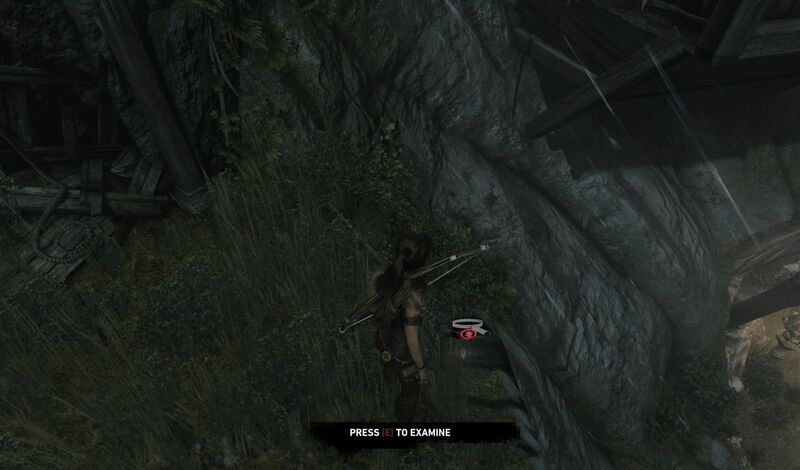 Notes: Climb up on the roof of the large building northwest of the camp. 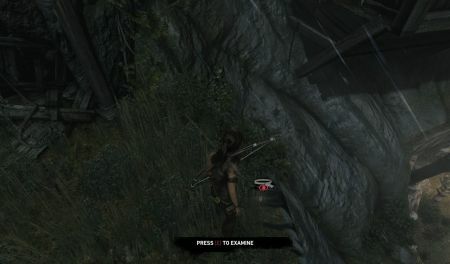 From the roof jump onto the rock ledge and the GPS cache is there. Climb up on the roof of the large building. 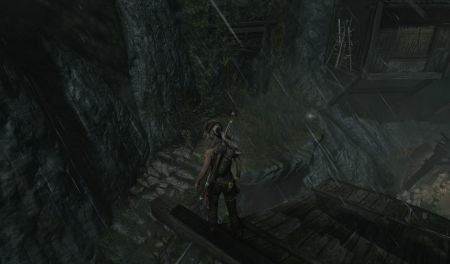 If you keep going left across the roof you will see this rock platform you can jump onto.